Education is a cornerstone of the cooperation programs Humana in the South. Within this scope, the primary teacher training is essential to achieve real progress in the education of children in rural areas curbing the deficit existing teachers. The Dowa Teacher Training College was oficially inaugurated on 30th November. Over 2,000 people attended the official inauguration of this TTC. 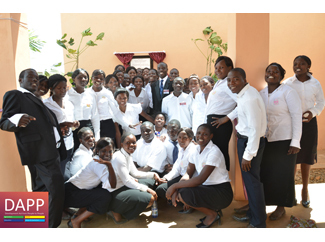 The college is promoted by DAPP-Malawi, local partner Humana and Planet Aid, a member of Humana People to People. It has the support of USDA and the government of Finland. 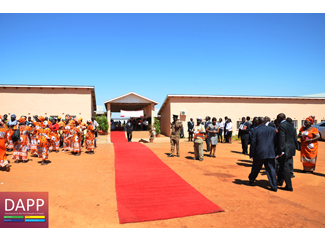 This is the third such center in the country, along with those of Amalika and Chilangoma. 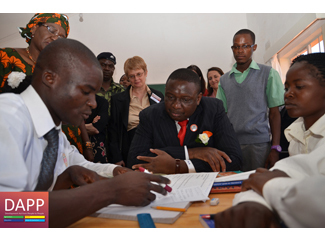 During the inauguration, Khumbo Kachali, Vice President of Malawi, highlighted the role that DAPP is playing to complement the government's work in teacher education. According Kachali "education is the key to the development of human capital that, in turn, is key to economic and social progress". In total, 850 have graduated teachers and professors in Amalika and Chilangoma, while today are 800 students who are preparing to exercise soon as teachers in rural areas. Teachers act as drivers not only for the education of the youngest but also handle progress of their communities. So, thanks to his efforts, preschools are implemented and carried out community development activities. Since 1993 member organizations of the Humana People to People Federation have trained more than 18,500 teachers teachers in 35 centers in Angola, Malawi, Mozambique and India. Furthermore, this model has spread to other countries such as Congo, Guinea-Bissau and Zambia.